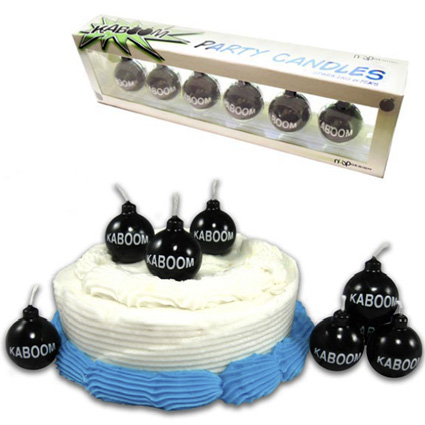 ItÕs a blow out!Ê Our Kaboom Birthday Candles will make your next party erupt with excitement.ÊÊ Each Kaboom Birthday Candle stands at approximately 1 inch high and 1Ó wide. Light the fuse and watch as the sparking wicks light up the room.Ê But donÕt worry, these candles may be the bomb but they wonÕt explodeÉ theyÕre just candles silly! Each candle measures 1 inch tall x 1 inch in diameter.